Khabib Nurmagomedov might not be getting a title shot, but he could be given a nice consolation prize. UFC president Dana White said Tuesday on ESPN’s SportsCenter that he is working on a fight between Nurmagomedov and fellow lightweight contender Michael Johnson for UFC 205 on Nov. 12 in New York. The headliner for that event, of course, will be Eddie Alvarez defending his lightweight title against Conor McGregor, which White announced Monday night. 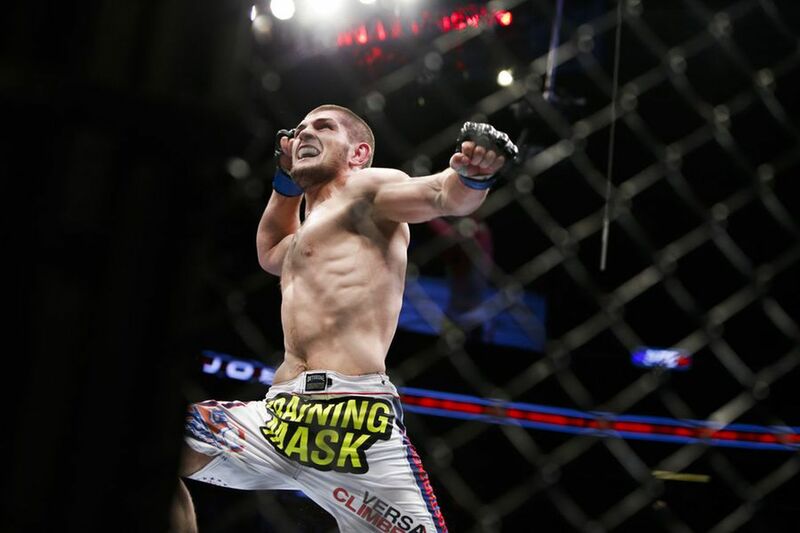 Nurmagomedov (23-0) is undefeated and well-deserving of a title shot. But the UFC went with the bigger money fight in Alvarez vs. McGregor, the one that will almost assuredly draw more than 1 million pay-per-view buys. Nurmagomedov, coming off a second-round TKO win at UFC on FOX 19 in April against Darrell Horcher, would just about guarantee himself the winner of that bout if he beats Johnson. Johnson (17-10) is coming off a huge first-round knockout of Dustin Poirier earlier this month. He had previously lost two straight, but remains one of the top lightweights in the world. Johnson, 30, won four in a row beating the likes of Edson Barboza prior to the skid. UFC 205 will be the promotion’s first-ever card in New York City after MMA was legalized in the state in April. It’ll take place in the legendary Madison Square Garden. White also announced Tuesday that Chris Weidman vs. Yoel Romero was official for UFC 205. Weidman was integral in the UFC lobbying process in New York’s state capital of Albany. Conor McGregor Faces Eddie Alvarez For The Lightweight Title. Is This a Slap In The Face To The Lighweight Division? Monday Morning Hangover: What’s next for Andrei Arlovski after suffering fourth straight loss?